Normally I eat a cheeseburger the night before a race. One exception has been recently during the NoDa 5k. 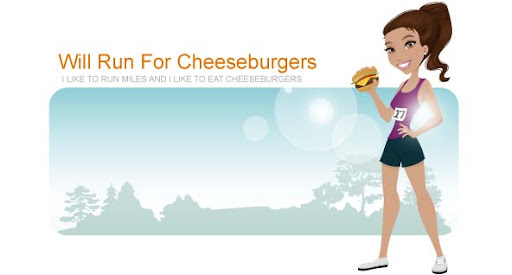 Since the race occurred at 6pm instead of in the morning, I opted to have my cheeseburger AFTER the race. I had only eaten at Smashburger once and ordered a salad (we were there for lunch). I was excited to try this place after my race since they offered online ordering and we were headed home with two tired kiddos. As Ryan drove, I was quickly able to order and pay for two burgers with sides all from my iPhone. When we arrived at Smashburger I had to wait a few minutes for my order but was pleasantly surprised at how quickly they expedited the food orders. I ordered the "classic smash:" American cheese, Smash Sauce, ketchup, lettuce, tomato, pickles & onion on an egg bun. The burger was great for a "chain" burger. I definitely should've ordered a double smash though ... the single patty was not enough for this hungry girl. I recommend trying out Smashburger if you haven't had the chance. They offer a ton of different toppings and burger options and the French fries can't be beat!